RJ48C is commonly used for T1 lines and uses pins 1, 2, 4 and 5. RJ48X is a variation of RJ48C that contains shorting blocks in the jack so that a loopback is created for troubleshooting. RJ48S is typically used for local area data channels/subrate digital services, and carries one or two lines. It uses a keyed variety of the 8P8C modular connector. 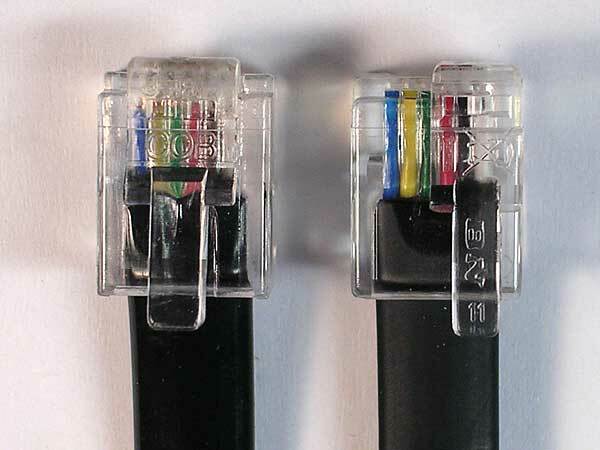 RJ48 connectors are fastened to STP (Shielded Twisted Pair) cables, not the standard UTP (Unshielded Twisted Pair) CAT-(1-5).